Today I’m here with a little peek behind the scenes of my latest novella, How to Woo a Widow. A few years ago I was reading a book about the English Regency–technically the period from 1811 to 1820 when the Prince Regent (nicknamed Prinny) was made Regent of England because of George III’s (his father’s) madness. This is the era of history I set my books in, and it also coincides with the Napoleonic Wars in which the English military played a significant role. Anyway, there I was, reading, and I came across a passage about the 1813 fete to celebrate the Allied win at the Battle of Vitoria that was held at Vauxhall Pleasure Gardens. This was a subscription fete, which meant you had to have a ticket to enter, and unfortunately the promoters oversold the tickets, so the place was teeming with more people than the gardens could hold. There was lots of traffic surrounding the event, and in general, it was chaotic. Knowing a bit about PTSD from the current era, where we have so many returning veterans, I immediately thought of how difficult it would be for a newly returned soldier to be comfortable at such an event. Not only the crowds, but also Vauxhall’s famous fireworks would make it hellish for someone suffering from PTSD. So, if you’d like a little taste of my writing, you might want to try this one! 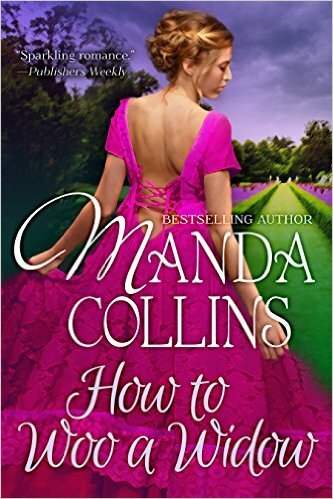 How to Woo a Widow is available for Kindle, Nook, iBooks and Kobo. Or, if you’d prefer something a bit more substantial, the first book in my Lords of Anarchy trilogy, A Good Rake is Hard to Find, is discounted right now from $7.99 to only $2.99! It’s a great deal, and even if I do say so myself, the hero, Lord Frederick Lisle, is pretty darn dishy. It is available for Kindle, Nook, iBooks and Kobo. In other news, I’ve also been reading. 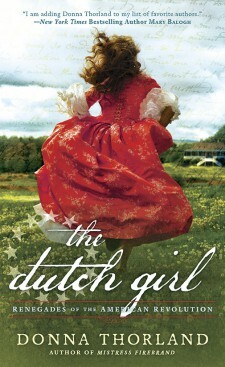 And one of the best things has been marvelous historical fiction (that’s really historical romance with a lot more historical detail) from Donna Thorland called The Dutch Girl. 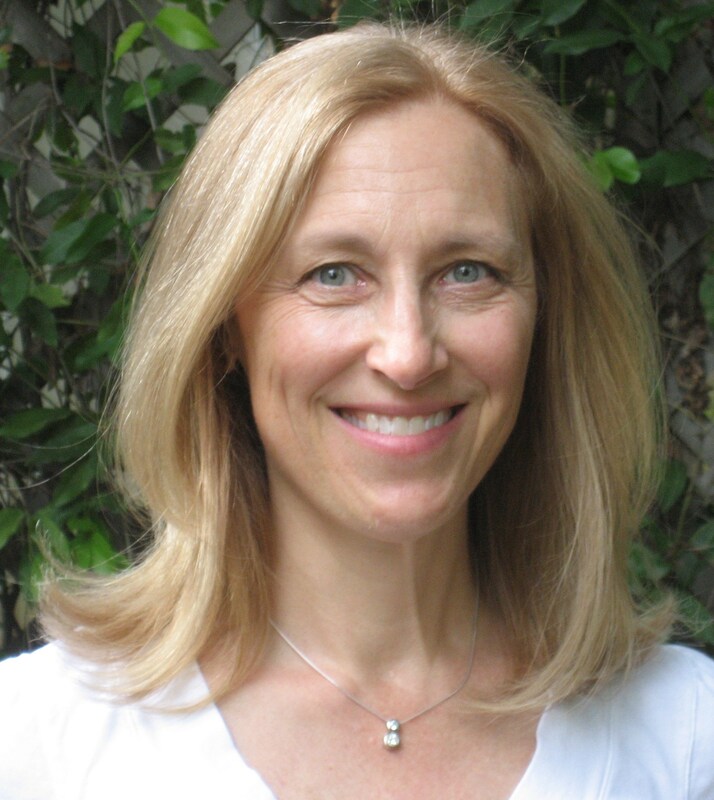 Thorland writes books set during the American Revolution and The Dutch Girl is set on an estate owned by a Dutch poltroon in upstate New York. (A Poltroon was similar, as I understand it, to a plantation owner, only the land was worked not by slaves, but by tenant farmers who paid their rent in crops. And they weren’t treated very well most of the time.) This is one element of our national history that I knew next to nothing about before I read this book and it’s fascinating. And of course there’s a spying and sexytimes and just…you need to read this one, yall! It’s historical romantic suspense at it’s best! Now, you! What have you been reading that has knocked your socks off? I’m always looking for great books! Tell me all about it in the comments and one commenter will win a copy of BOTH How to Woo a Widow AND A Good Rake is Hard to Find! Posted on March 15, 2016, in Uncategorized. Bookmark the permalink. 11 Comments. I grew up in Poltroon territory, Manda! And I always loved the Anya Seton book Dragonwyck about the wife-murdering Poltroon Nicholas Van Ryns. (It was also made into a movie with Vincent Price and Gene Tierney) It’s such a little-known but fascinating part of history along the Hudson River. I always heard about Dragonwyck, Sharon, but never got around to reading it (so many books…) but I’m going to have to remedy that! And watch the movie! I love Gene Tierney so I’ll bet its good. Oh it is one of my favorite movies, Manda. At the very least you need to get it on Netflix one night. I’ll definitely have to watch it! 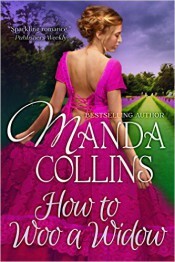 Manda, I loved the inside scoop on your new novella! Can’t wait to read it!